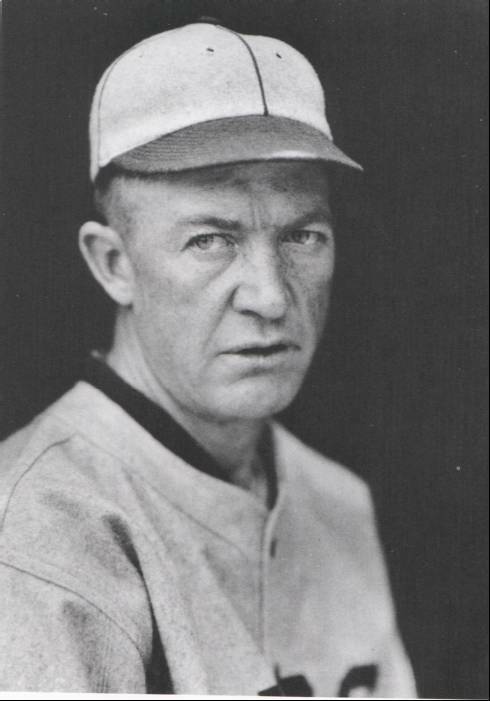 Today in Masonic History Grover Cleveland Alexander passes away in 1950. Grover Cleveland Alexander was an American baseball player. Alexander was born in Elba, Nebraska on February 26, 1887. In his youth he played semi-professional baseball. In 1907, at the age of 20, Alexander signed his first professional baseball contract for $50 a month. In 1909, while playing for the Galesburg Boosters in the Illinois-Missouri league, he almost had a career ending injury. While base running he was struck by a thrown ball. It ended his season, he was able to recover though and returned the following year to become a star pitcher once again, this time in Syracuse. At the end of the 1910 season he was sold to the Philadelphia Phillies for $750. Starting in 1911 he would pitch 7 seasons with the Phillies. During that time he won the Pitching Triple Crown (wins, strikeouts and earned run average (ERA)) in the 1915 and 1916 seasons. In the 1915 season he would be instrumental in leading the Phillies to their first pennant. In 1917, the Phillies sold Alexander to the Cubs. At the time they were concerned that Alexander would be drafted during World War I and they would lose him as a player. The owner of the Phillies would later admitted "I needed the money." The Phillies concern was confirmed when Alexander was drafted and sent to Europe. He served during the entire 1918 season. While in France, Alexander was exposed to mustard gas and a shell exploded near him. This caused Alexander to suffer from epilepsy. Alexander was accused often of being a drunk, and in fact on his return from World War I he reportedly hit the bottle hard. Ty Cobb was notably said of Alexander "Grover Cleveland Alexander wasn't drunk out there on the mound, the way people thought. He was an epileptic. Old Pete would fall down with a seizure between innings, then go back and pitch another shutout." In spite of his drinking problems and his physical problems that he sustained during the war, Alexander gave Chicago several good years. In 1920 he won another Pitching Triple Crown. By 1926 the team had grown tired of his behavior and insubordination so he was sold to the St. Louis Cardinals. That year the Cardinals won the National League pennant. During the World Series against the Yankees, Alexander pitched two complete games, 2 and 6, both ending in victory. After game 6, Alexander went out and got extremely drunk. The next day in the 7th inning he was sent to the mound while still allegedly feeling the effects of the previous nights drinking. He struck out the batter with two outs and bases loaded. He went on to hold the Yankees scoreless in the final two innings. In 1930, Alexander's drinking did him in with professional baseball. He went to form a baseball team with the Israelite House of David commune and they toured playing baseball around the country with Alexander as a player coach. He would continue to play through the 1940's. In 1938, Alexander was elected to the Baseball Hall of Fame in Cooperstown. It was the third year for the Hall of Fame and Alexander was the only nominee. On November 4th, 1950, Alexander passed away in St. Paul, Nebraska. It should be noted that during his time playing Alexander had several nicknames including "Alec", "Grover", "Alexander the Great" and the oddest "Old Pete" or "Ol' Pete". It is unclear where this nickname came from although newspaper articles from the time have many people referring to Alexander by that nickname. Alexander was a member of St. Paul Lodge No. 82 in St. Paul, Nebraska.